It’s been a while since I’ve listened to an album that I am really excited about. 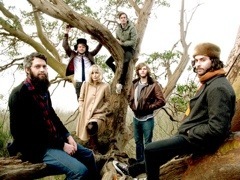 You know, the one that stays in your car for a month or two, the ones your friends all start listening to… Well, The Head and the Heart is one of those- and I am officially declaring them my summer 2012 band. Their songs are catchy, heartfelt, and FUN! Enjoy this one- and make sure you listen to the whole thing- because I especially love the way their build it up at the end. Living Stone Construction’s 1st Annual Home Tour!